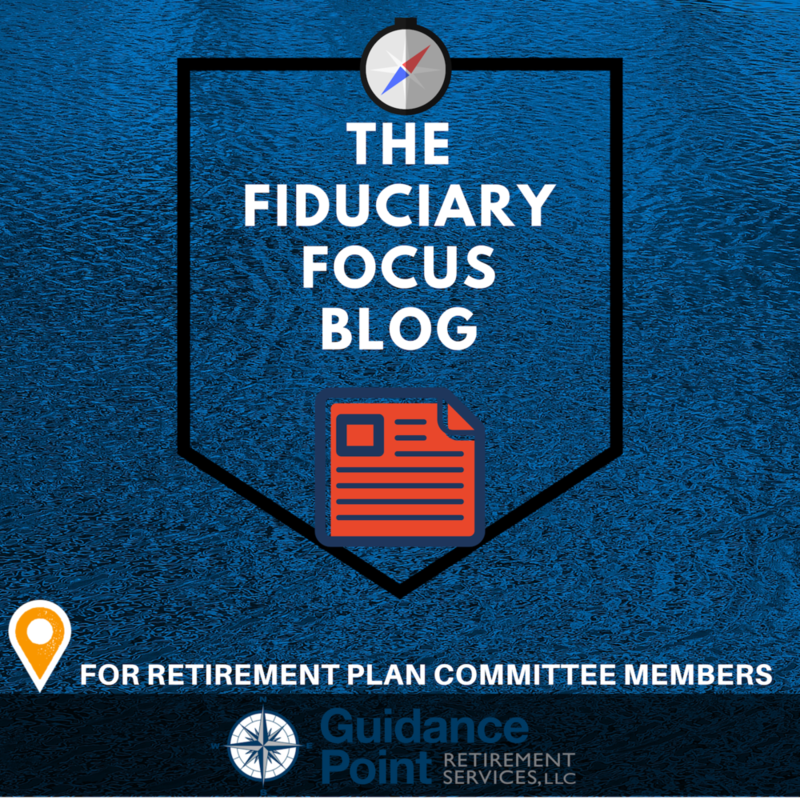 Our Fiduciary Focus blog highlights common questions and topics that our Retirement Plan Committee ask of us. Below are our most commonly referenced blog posts by category. How Much Does a 401(k) Plan Cost? My Funds are on the Retirement Plan Watch List. Now What? ESG Investing: Does it belong in your Retirement Plan Menu? What does it mean to hire a 3(38) Advisor / Investment Fiduciary? How do I ensure my plan is in compliance with DOL and IRS standards? Here’s our ERISA Compliance Checklist! How do I know what my Fiduciary Responsibilities are as a Retirement Plan Committee Member? Check out our Fiduciary Responsibility Guide for Retirement Plan Sponsors! What investments should I be offering in my retirement plan? Read our eBook Fiduciary Best Practices for Plan Menu Design! We have Target Date Funds (TDFs) in our plan. How do I know they are the best fit for our employees? Get our Navigating the TDF Evaluation Process eBook here! I have no idea how to pick between a Money Market and a Stable Value fund. What’s the difference and is there risk to me as a Fiduciary? Reference our “The Risk Free Investment Options are Changing” eBook for the answers! Retirement Plan Consultants from our team will soon be launching a Podcast highlighting stories of successful 401(k) and 403(b) Retirement Plans. We’ll also be sprinkling in industry news, best practices, and new services available from industry leading service providers.